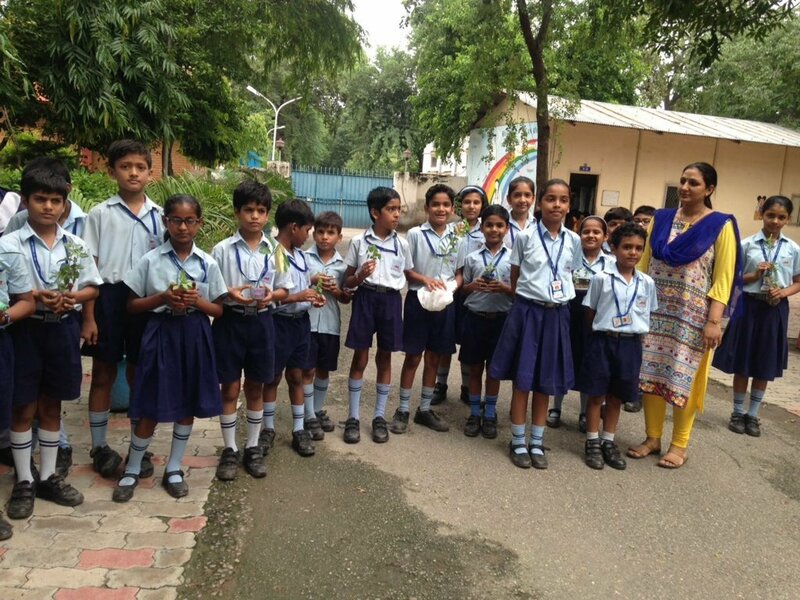 Poem Recitation competition was organized for the primary students of Air Force Sr sec School on 10.8.17.Tiny tots prepared well for the competition.They recited beautiful poems on swatch bharat abhiyan, save trees, save environment etc. They were encouraged to speak on stage during morning assembly time so as to spread awareness how much important trees are to all of us. 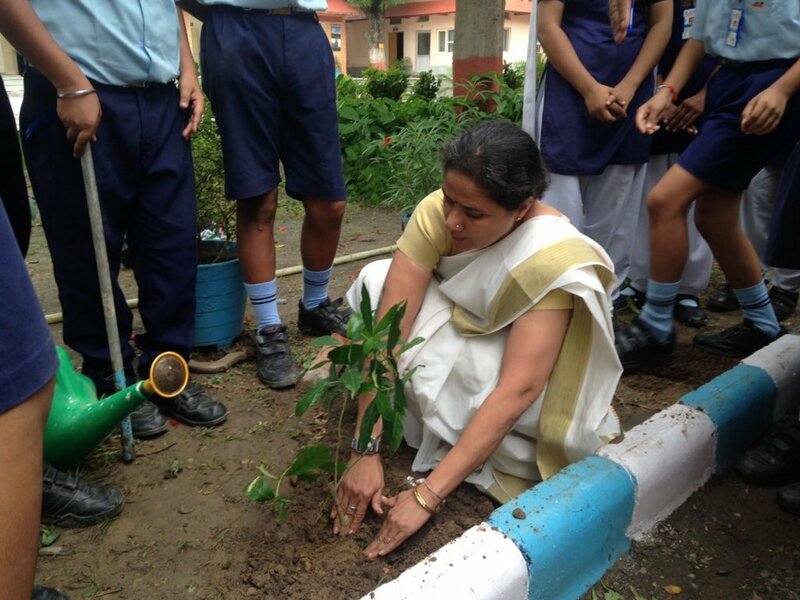 Tree Plantation drive was carried out by Florets –The Eco club of AFSSS on 10.8.17.Mrs kavitha Menon inaugurated the program by the plantation of sapling inside our school premises. 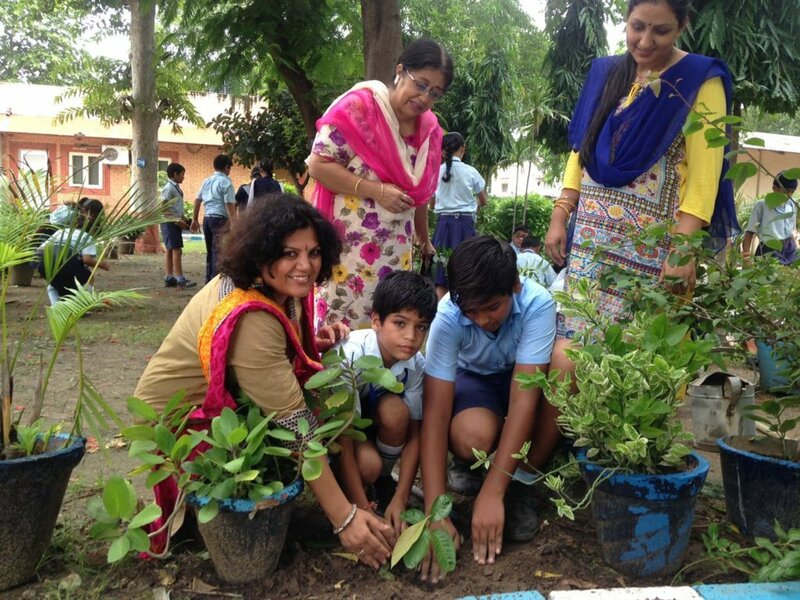 Students planted the saplings on their own and took a pledge to take care of their plants and will water them daily. Slogan writing and poster making competition was organized for class 6 and 7 students on 11.8.17 .Children came up with great ideas and they participated with great zeal and enthusiasm.To motivate the winners they were given prizes too. 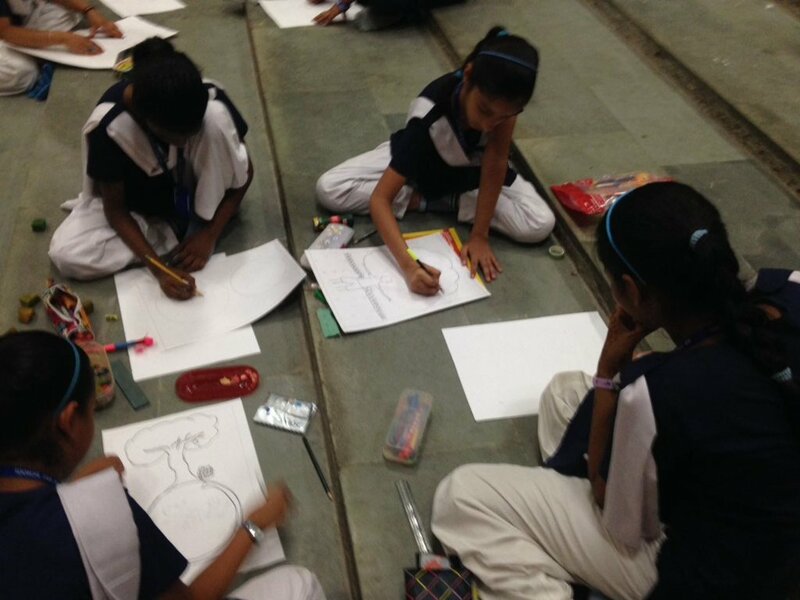 Rangoli making competition was organized for class 8 students on 11.8.17 .The theme was to make tricolor Rangoli with eco-friendly colors .students made the map of INDIA, tricolor peacock, Flag and so many innovative ideas were displayed by them . Students enjoyed all the activities wholeheartedly.